Professor Yemi Osinbajo, as well as the unity of the country. This was disclosed by the Deputy Leader of the forum, Paul Unongo, after they had a meeting of the forum on Thursday in Kano State. 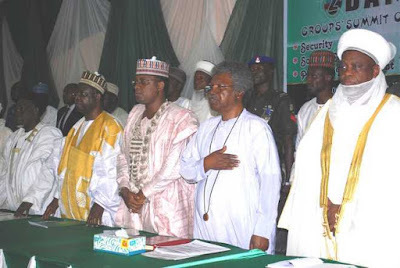 The Northern Elders Forum reiterated their support for the acting president and urged Professor Osinbajo to ignore rumours that may deter him from executing his duties and called on all northerners to support fully the leadership of the Acting President. They also prayed for the quick recovery of President Muhammadu Buhari and urged Nigerians to continue to pray for the safe return of the President. The elders congratulated the Nigerian Government and security operatives on the recent release of 82 Chibok girls and asked northern governors to continue to be loyal and accountable to their people. The forum, among other resolutions, expressed concern about the politics in the northern states and its attendant consequences in the development of the region.